Young woman sitting alone at a table reading a book; image by StockSnap, via Pixabay.com, CC0. If you’ve ever thought about whether you’re an introvert or an extrovert, you’ve probably had the conversation with yourself that it doesn’t matter unless you’re in, or avoiding, a social situation. But, could your personality trait determine whether you can get into your university of choice, such as Harvard? Over the last few months, Harvard has been at the center of a controversy where it’s claimed the establishment has been discriminating against Asian students which seems to have triggered a global conversation about what students and parents can do to stay off of the “no” list. According to Jonathan Zimmerman from the Washington Post, having an introverted personality trait may reduce your chances of enrollment. Is this the case or pure speculation? Today, we’re going to find out. What’s the Problem with Introverts? If you’re the kind of person who would rather stay home and watch movies or read a book than go out to bars, see friends, or, most importantly, partake in an academic club, Zimmerman suggests this could be harming your chances of securing a position at the elite academic institutions. Simply because you may not show the enthusiasm to partake in activities that elite academic students usually get involved in. Think of this way: even if you’ve got a gift for science and accompanying knowledge far above average, this isn’t as visible in the classroom or lecture halls than someone who has charm and charisma. An extrovert, on the other hand, has the confidence to speak to the people they want and creates an image of themselves, whether this is while in academia, or in the business world after they graduate. “It’s far easier for an extrovert to display the skills and achievements they have under their belt that an introvert can, and in a world that revolves around external image, this is everything,” shares Mark Evans, a content writer for Last Minute Writing and Researchpapersuk. In our opinion, and in the minds of a lot of others, yes. This is a form of discrimination and shouldn’t be tolerated, especially at such an elite level. For an institution like Harvard, you would imagine one of their priorities is to get the most varied and diverse student base they can. 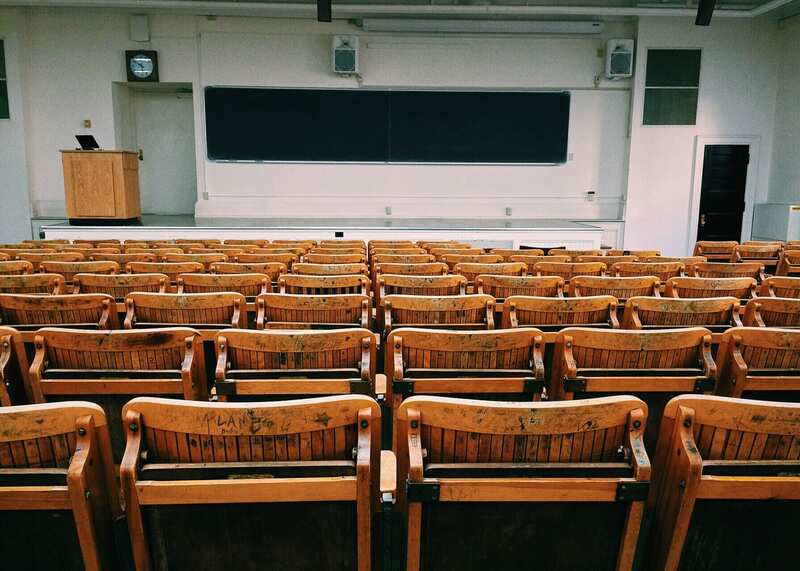 Empty classroom with chairs facing chalkboard; image by Pixabay.com, via Pexels.com, CC0. This can help the university diversify its ranges and spectrum of talent, skills, qualities, and cultures to create a thriving learning environment. Students in places like Harvard are typically very involved in the running of the university through roles like student president. However, if you have a university full of the same type of people, the university is going to take a dramatic turn in a short amount of time, making it even increasingly difficult for others to enroll. “This means not everybody has equal opportunities and some of the most academically gifted minds of the generation may not have the chance to be the best they can be. This will ultimately affect all industries of the world and the future of humanity,” explains Michelle Harper, a regular contributor for Draftbeyond and Writinity. The solution is simply to stop discrimination against certain personality types and try to aim for the most balanced student base possible. While it may be different for an introvert to get involved or to show certain skills, such as leadership, it’s important to remember that it’s not impossible. Introverts still have the ability to stand out and display what they’re capable of, be it in a different way than extroverts. These capabilities are just as valuable to local communities, industries and the rest of the world, and an institution like Harvard should understand this better than anyone.